Here is a list with some of the best restaurants in Edinburgh. 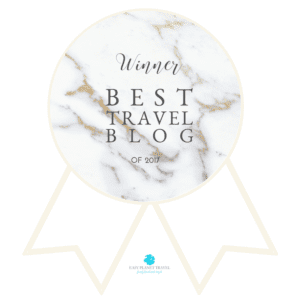 We all know that when we plan a trip, besides the desire to see famous tourist attractions and to have new and memorable experiences, there is also the curiosity to learn new things and taste local and different dishes. When I planned my three-day trip to Edinburgh it wasn’t different. Some of the best things to do in Edinburgh for me are: wandering around the New Town and Old Town, hiking Arthur’s seat, watching the sunset at Carlton Hill, and also dine at the best restaurants in the city. Scotland’s capital is a delightful and must-have experience. 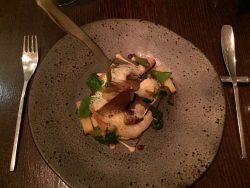 I visited several restaurants in Edinburgh during my stay, and had two extraordinary food experiences. But I’ve included more restaurants that are worthy visiting. 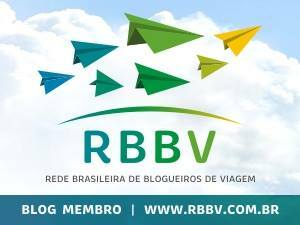 This list is based on my experiences, other people’s recommendations and websites. It’s perfect for a three-day itinerary to Edinburgh. Set outside the touristy area, this gastro pub is a creation by two of Edinburgh’s Michelin-starred chefs, Tom Kitchin and Dominic Jack. 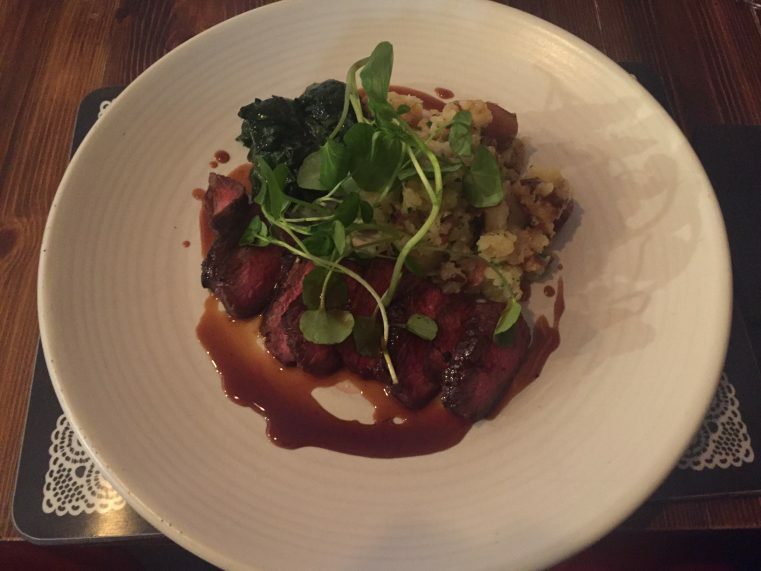 It has a good atmosphere and is excellent value for money (set lunch menu three courses for only £15). 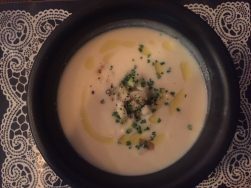 As a starter, I had the celeriac soup with chestnut and apple, which was very tasty. My second dish was the highland rump steak with crushed potato, which was presented superbly, but was served a little bit cold. 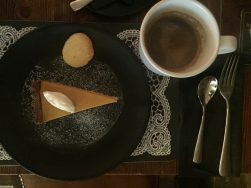 I finished with a delicious pumpkin pie with crème fraiche and some coffee. 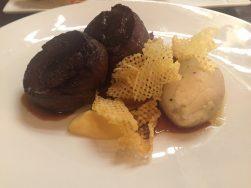 Even though the service may not have been as good as the food, a visit to The Scran & Scallie is a chance for a whiff of Michelin influence without breaking the bank. Entrance of the gastro pub. Paul Kitching 21212 is Edinburgh’s only Michelin-starred restaurant with rooms, and is set in a gorgeous Georgian townhouse. Upon arrival guests are invited to wait in the drawing room, located on the first floor. It has many original features, some very comfortable chairs and a stunning wall picture. After having a glass of champagne, I was escorted to the sumptuous and stylish decorated dining room, where I was offered options of a three-, four- of five course fixed price menus. 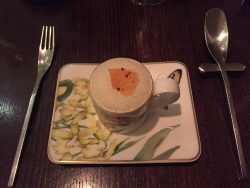 I went for the three course menu, which started with an amuse bouche of an incredible sweet corn puree, with gazpacho, couscous, horseradish sauce and mustard parchment. After that I had the early autumn vegetables with macadamia, tomato & ginger juice with Argan oil. My second dish was a shellfish ragout with touts & prawns with leek “hache” and French figs, fries and mustard. This dish was sensationally presented and had a really good combination of flavors and textures. I finished with the pear of strawberries, with a trifle of fruit and nuts, white chocolate and shortbread olive oil served with porridge milk. The service is outstanding and every dish was carefully explained. The restaurant has an extensive wine list and a sommelier to help you with pairing the food with wine. 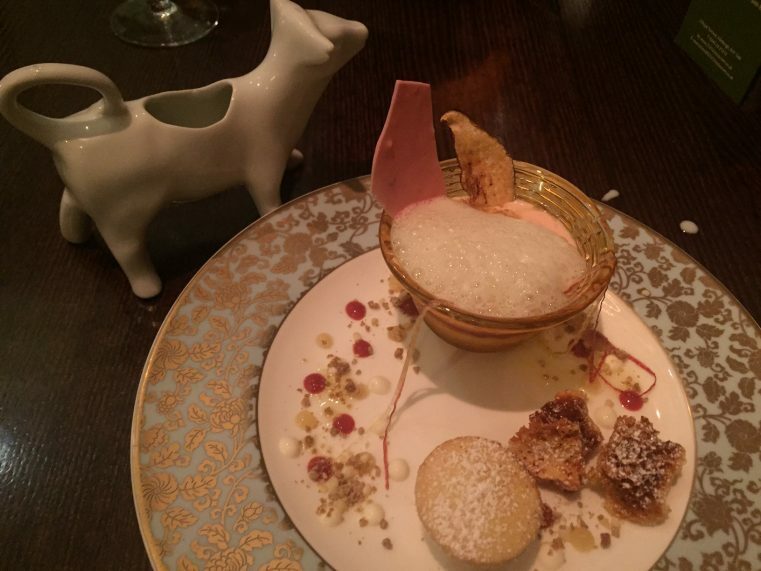 In general the food is innovative, delightful with a unique approach, and this was the best upmarket restaurant that I went to in Edinburgh. 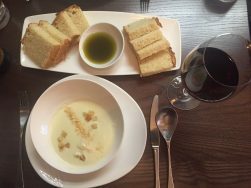 * Prices vary from £24 (lunch menu), up to £79 (five-course dinner menu), excluding wine. 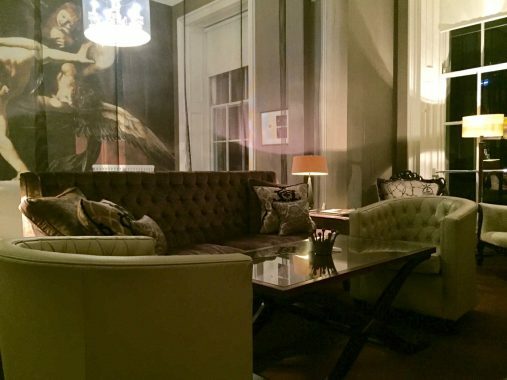 Located on the Royal Mile, this is the home of the talented and award-winning chef PaulWedgwood, and is also great value for money. 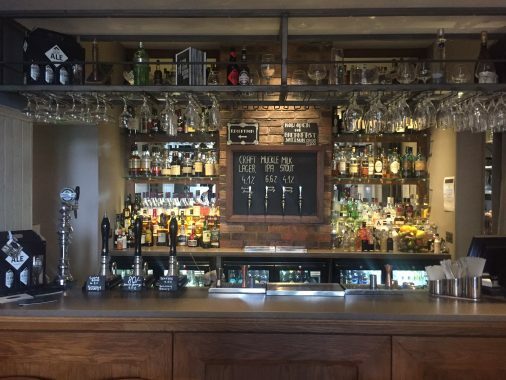 The atmosphere is cozy and chic, the service is attentive and friendly, and the stylish menu that changes constantly is based on the finest seasonal Scottish products. I started with a celeriac soup and luscious bread, followed by the haggis stuffed venison with bone marrow mash, braised red cabbage, mushrooms and chips. For dessert I really recommend the traditional Scottish sticky toffee bread and butter pudding with butterscotch sauce and vanilla ice cream. 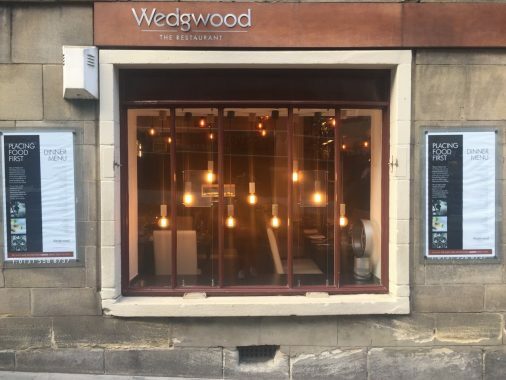 Wedgwood is a great option for lunch if you’re sightseeing in the Old Town of Edinburgh and if you want to taste authentic local cuisine!! * Set lunch menu: £15. 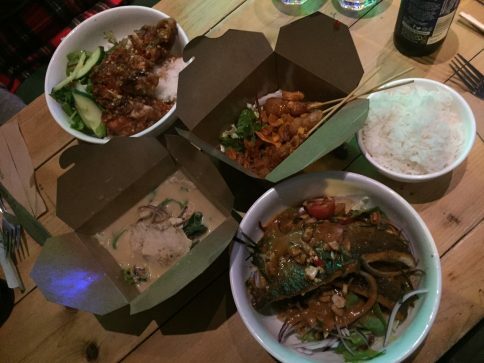 Also located in the Old Town, this Thai restaurant is constantly listed as one of the best and cheap eats in Edinburgh. The atmosphere is very low-key, as is the presentation of the plates. The food is actually served in boxes, and, considering the money you pay for the quality of the food you get, you will be in awe. I had a small box of khao mung gait, which is shallow fried chicken with ginger, chilli, grated coconut, cucumber and shallot ajard, in two brothers sauce served with jasmine rice, and an incredible regular box with the honey duck breast and with honey and tamarind sauce. Ting Thai Caravan’s chef used to work for the king of Thailand and this instantly became one of my favorite restaurants in Edinburgh. 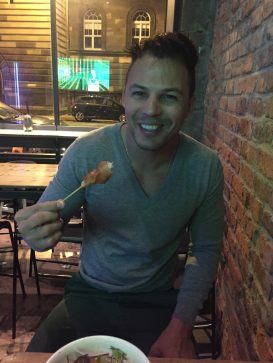 The food is just phenomenal, and actually was the best Thai food I’ve had outside of Thailand so far. * Average small box £4, and normal box £9. Cash only. One the best cheap restaurants in Edinburgh. Other budget restaurants to visit are Mother India’s Café, also frequently rated as of one the best cheap restaurants in Edinburgh, and The Dogs, which is supposed to serve good food, however I didn’t like the atmosphere that much. 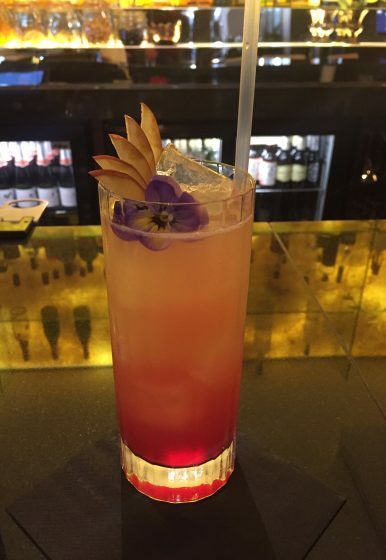 If you fancy having some drinks with an awesome view of the castle, pop up to Chaophraya, where they have great drinks and the atmosphere is magnificent. And if you want dress up and impress, stop by at The Dome, situated in the heart of Edinburgh’s New Town. 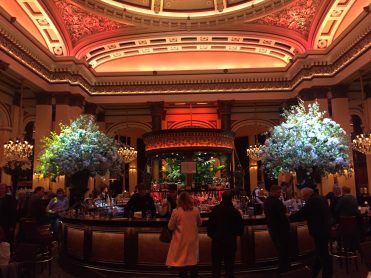 The building has a stunning Greco-Roman façade, but the interior decoration is a bit fussy, and the food considered overpriced. And for this reason, I only stopped there to take a look at its interior and have a drink, which actually was not that good. 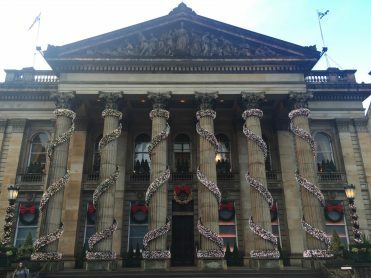 These are just some suggestions when you visit the lovely and exciting capital of Scotland, and some of those restaurants should also be in your list of best things to do in Edinburgh, as they are in mine. This article was converted into an app and you can get it here. 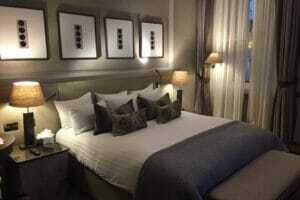 Looking for a place to stay in Edinburgh?